How often do you reach out to your clients (annually, semiannually)? And what amount of contact is considered "regular"? Although there may not be a hard-and-fast rule for this, you might want to consider that a lack of proactive outreach is consistently listed as a top reason why clients seek new advisors. Of course, every client is different, and how often you engage with them depends on not only personality but also what's happening in the markets and in their lives. But one thing is clear: If you’re looking for how not to get fired by your clients, communication is critical—and should be focused on both your clients and their families. Spectrem Group reports 58 percent of high-net-worth investors have switched advisors in their lifetimes, and 23 percent have done so in the past five years. An InvestmentNews article reveals that 66 percent of children fire their parents’ advisors. A 2014 Financial Advisor IQ article indicates that more than 55 percent of widows fire their husband’s advisor. As you can see, merely engaging your existing clients is a short-sighted objective. There are family members to consider, and the wealth transfer process to spouses or children represents a particularly vulnerable situation for many advisors. For the short term, let’s look at your existing clients and what you can do to subtly convince them not to fire you—specifically, by tailoring your communication frequency, methods, and content to your individual clients. You certainly don’t need to send a personal note to every client, but segmenting clients by need is a good way to get organized. Frequency. Needier clients who follow the market and call to check their account balances every day may need a little more attention than clients who are more secure in their long-term strategy. According to the Spectrem research cited earlier, clients who educate themselves on the market and do their own investment research are more likely to switch advisors due to lack of proactive communication. At the very minimum, reach out to your clients annually, but also find clever ways to communicate during financially relevant events. This strategy can transform a seemingly uneventful occasion into a memorable moment and possibly an opportunity to uncover new assets. For example, consider sending a birthday card to clients turning 59½. As a follow-up, offer to review qualified accounts or retirement plans to educate them on potential in-service withdrawal opportunities. Contact method. There are those clients who are fine with a check-in e-mail but others who would prefer a phone call. In a similar vein, there are those who will pore over every word of your newsletter and those who don’t even open it. 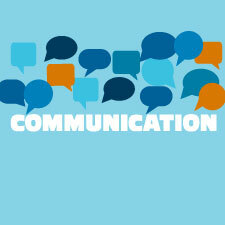 Keep these traits in mind when planning your communication strategy. Content. If you’re prone to sending periodic communications, don’t lean too heavily on the generic. Of course, out-of-box newsletters, canned content, and generic materials are necessary tools that allow you to stay focused on what your clients really hired you to do. But if they are the only means you’re using, you’re missing an opportunity to reach your clients on a personal level. Now that we’ve touched on existing clients, let’s move on to communicating with their family members. You’re probably aware that including both spouses in discussions is an obvious way of minimizing the chances of being fired by the surviving spouse. But what about including the adult children in those discussions? Although focusing on millennials might not be a priority for your practice, you could be missing an opportunity to retain and continue growing assets you’ve already worked on with their parents. If you wait until the estate is settled, it’s too late. Your relationships with your clients have taken time to build and deepen. Relationships with their family members will, too. You might start by showing your interest in their family’s wealth management by suggesting that your clients bring one or more of their adult children into conversations about their long-term financial and estate planning discussions. Engage the alpha child. If your clients have multiple children, there is probably one who tends to take the lead on financial matters. He or she is also likely to be the trustee on any trusts, be the executor of their wills, and/or hold power of attorney. I already know that I’m the alpha child (but don’t tell my brother) and will be the one having these discussions with my parents’ advisor—and your clients already know who their alpha child is, too. Be proactive. With an aging client base, health directives and mental capacity questions need to be addressed. Proactively seeking the appropriate family contact for these issues opens the door for discussions that could start the process of building a relationship. It’s also far more preferable to have these introductory conversations in the planning stages and not during a health crisis—your clients will appreciate the extra time you devote to addressing their concerns. Go organic. Building relationships with your clients’ adult children can feel a lot like asking for a referral, but it’s important to remember that these relationships need to grow organically. A formal program to include clients’ children can seem hollow and inauthentic. Instead, work within your existing routines and expand from there. Consider events (e.g., educational or social) that include families, and clearly communicate with your clients on the importance of including their adult children in their financial and estate plans. If you plan on being in business longer than the average expected life span of your existing clients, let me ask you this: Is it easier to keep a client or to find a new one? The overwhelming evidence shows that keeping your existing clients happy and eager to stay your clients is much easier and cheaper than replacing them. By doing so, you’ll not only retain the assets of these clients but also create lasting relationships with the next generation. How do you reach out to your clients' family members? What do you see as the most common reason clients would switch to a new advisor? Please share your thoughts with us below!